Didn’t get an invite to Harry & Megan’s nuptials? Hmmm, us neither. Don’t worry, you can still party in style at one of these royal-approved venues. There’s no ‘royal-er’ way to feast, than by dining at Quaglino’s – it’s a favourite of the Queen, who made history when dining here in 1956 as it was the first time a public restaurant had ever hosted a reigning monarch. It’s no surprise that the fancy Covent Garden restaurant The Ivy gets the royal seal of approval – the Queen was spotted here earlier this year celebrating a pal’s birthday. Other royal customers include her majesty’s cousin, Prince Michael of Kent and his wife Marie Christine, the Princess Michael of Kent. A magnet for the rich and famous, this fancy upmarket restaurant Chiltern Firehouse is a known favourite of Princess Beatrice and Princess Eugenie. 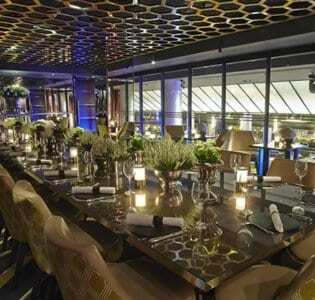 Insiders are also betting on this being a venue for Harry’s stag do. 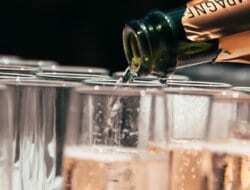 This West London bar is a popular celebrity haunt and apparently it is where Wills & Kate used to knock back Flaming Ferrari cocktails during their last few party days before the children arrived. You can see why Dans Le Noir – renowned for serving meals in complete darkness – is rumoured to have been another favourite of one of the world’s most famous couples; Wills & Kate. Book a table and listen out for any well-spoken neighbours. 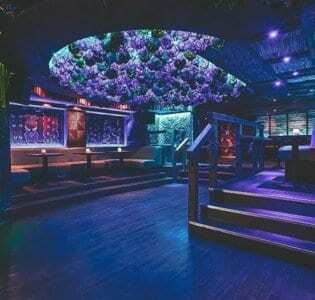 This iconic tiki-style bar Mahiki was a must-visit venue on Harry’s social calendar) in his younger days. With hundred pound cocktails served in treasure boxes, what else would you expect from a royal party den? 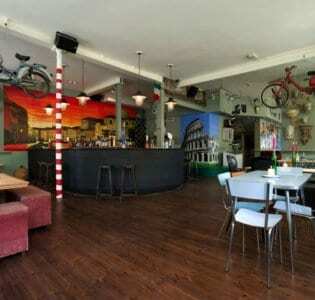 Another favourite of the younger prince is this Berlusconi themed Battersea bar, Bunga Bunga is famous for its bottomless boozy brunches, it’ll be a great place to toast the happy couple over a couple of Prosecco-soaked pizzas – probably slightly different to how they’ll be celebrating their marriage, but it’ll do.